A wreath is not just for the December/Winter festive season, they can be for any time of year or festivity and i'm a big fan of bringing the season or festivity into my home with a wreath hanging on either a door or in the window. 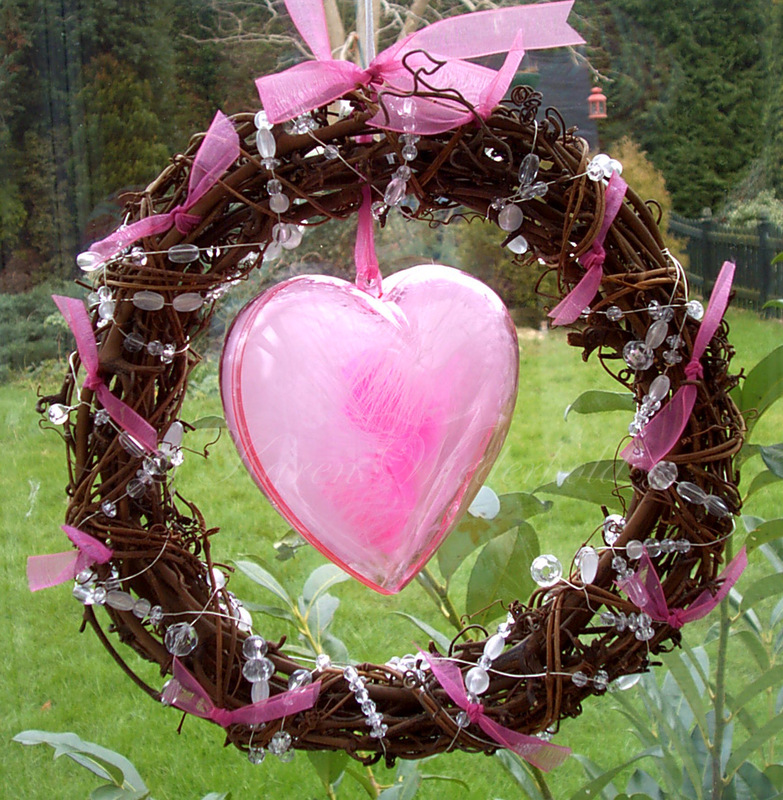 So here we have a beaded and bejewelled wreath for Valentine's day, but it can be hung all year in your bedroom for that touch of femininity and romance. 1. Tie length of satin cord through the top of the wreath for hanging. choose, feeding beads along the wire a few at a time and unwinding the spool as you go. in the top then through the centre of the wreath, tying in a bow around the cord to secure. 4. Tie sections of ribbon round the wreath and trim ends. All images, patterns, projects and ideas on this website are copyright to the designer.